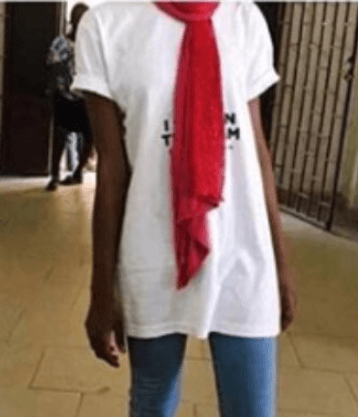 A student of the University of Ilorin, got penalized and was served a dress code violation form for reportedly wearing a jean and a long polo shirt within the school premises. The student took to social media to express how disappointed she was after her I.D card was seized and was asked to pay a fine of N2,000. While some folks applaud the school for their level of decency, others are seeing it as a way of extortion. However, a majority thinks her dressing is no way near 'Indecent'.